Prominent leaders from the Southern part of the country yesterday said without restructuring and devolution of powers, there may be no general election in 2019. This formed part of the discussion held at a colloquium on restructuring organised by the Island Club, Lagos. The colloquium titled ‘Restructuring: Challenges, implications and the way forward’, was attended by prominent leaders in the South West, South East, South South and the North. Niger Delta activist, Annkio Briggs, who was one of the discussants said she had the mandate of the Niger Delta people to speak on their behalf. She said if the country does not restructure, there would not be elections in 2019. Annkio Briggs said: “The country is like a moving train without brakes and in order not to crash, we need to restructure. All regions must come together and agree on restructuring and everybody must say what restructuring means to them, and we must agree on restructuring before 2019 election. There is so much injustice in the country. “For instance, there are 419 local governments in the North and 365 local government in the South and the north gets far more resources from the Federal Government than the people producing oil in the country. Niger Delta is producing more and getting less. The lead discussant, Prof. Stephen Adebanji Akintoye, said the federal government has become inefficient and corrupt because of oil revenue from the Niger Delta. He said the abandonment of export products that were helping Nigeria has become a problem. “Restructuring has become inescapable for Nigerians. The struggle for a rational federal structure has been a major concern since we were young men. Nigeria needs to restructure due to the harsh effect of the federal structure of Nigeria. 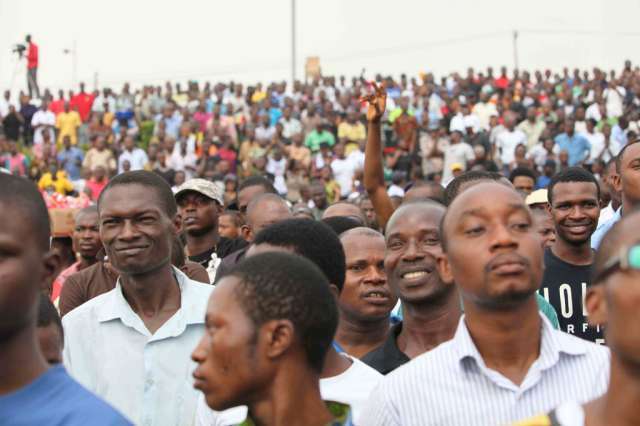 Youths in South-East, Niger Delta and South-West are telling us that they do not want to be part of Nigeria anymore. It is under this that the cry for restructuring is growing louder. “Some people are saying restructuring is a confusing idea and I dare say their strategy is clever, but not clever enough. We want a federalism that is widely acceptable and the best structure is federalism whereby each zone would be a federating unit and control and develop its own resources for the good of its people. This is the only solution to our nationality problem.The structure we operated in 1963 was very productive because each region had its constitution and controlled its resources,” he said. Prof. John Ogu, a former Deputy governor of Ebonyi State, who represented the President General of Ohanaeze Ndigbo, John Nwodo, said the marginalisation of the South-East and the unfair treatment meted out to the Igbo from the end of the civil war till date were the factors that aided the rise of separatist groups like the Indigenous Peoples of Biafra (IPOB). He said: “What IPOB is doing now is a cry for justice.They are saying the Igbo have been treated very badly and have been marginalised since the civil war ended, and it is only restructuring that can remedy some of those wrongs. It can be done by amending the 1999 constitution holistically or by creating a new constitution. Former governor of Ondo State, Olusegun Mimiko, said restructuring is not about the North against the South. Ayo Adebanjo, a chieftain of Afenifere chastised northern leaders who are opposed to restructuring. “The military introduced this constitution which thrives on a unitary system of government, but you cannot run Nigeria on a military system of government, because we have so many ethnic groups. We have passed that stage where people will try to make us think that restructuring is new. It is not. We must restructure now or the country may not survive. The North does not want to agree on restructuring because they are beneficiaries of the awkwardness of this 1999 constitution which was thrust on us by the military” he said. General Alani Akinrinade condemned what he described as the deafening silence from most prominent northern elders over the quit notice given to the Igbo living the north before October 1 by northern youths.